Faced with an onslaught from President Trump, EU leaders made a conscious effort this week to find common cause with friends new and old in another part of the world —Asia. Between the lines: As Trump openly questions the continued value of NATO, calls the EU a “foe,” and ingratiates himself with a Vladimir Putin — whose government has worked diligently to stoke divisions and support Euroskeptic parties throughout the continent — it’s no surprise that Europe has started to seek out new friends. The latest: Yesterday, the EU and Japan finalized a long-awaited trade deal that will further knit together two economies that account for around a quarter of global GDP. That just a day after the leaders of the EU and China met to discuss trade and security relations. But will this strategy work? So far Europe's pivot toward Asia has been done reluctantly and with a certain amount of trepidation. 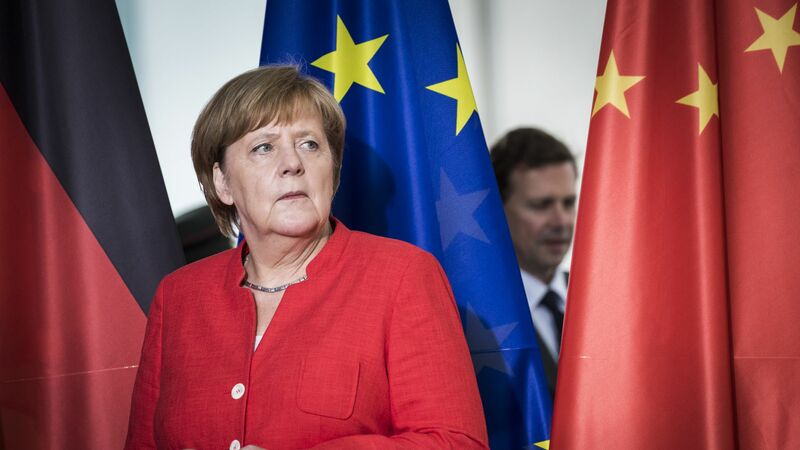 The EU is hesitant to form a common front with China to hit back against U.S. tariffs, for example, and many European countries remain wary of Chinese investment that could leave them beholden to Beijing. The EU-Japan trade deal is a good symbolic vote against the protectionism favored by the U.S. administration. But its economic benefits will take decades to materialize and leaders in Europe will struggle to spin it as a political victory back home. Nor is there much in the offing from Asia on the most pressing security issues raised by President Trump. Russia will continue to support its preferred political parties across Europe. Putin may well be emboldened by the US president’s obsequious display in Moscow. On NATO, the Europeans face no choice but to pay up or continue to face further U.S. threats. And the Iran deal is on life support, despite extensive efforts from Russia and China to prop it up. Why it matters: But Trump’s behavior over the past week may finally force European leaders to decide whether they can simply wait out his term in the hope of a better alternative or if it’s time to start reevaluating long-term assumptions about American power, credibility, and loyalty. That could well produce a more coherent and sustained European strategy to leave the US behind. Sign up for Signal, a twice-weekly newsletter from GZERO Media, a Eurasia Group company.